Head 25 minutes north of Downtown San Diego and you’ll find a quiet, low-key community with a population hovering just above 13,000. Located on four square miles along the Pacific Ocean lies Solana Beach, one of the first neighborhoods you hit when traveling to San Diego County. Once upon a time, it overflowed with lima bean fields and avocado groves. For a time, Solana Beach served as the gas stop between Los Angeles and San Diego. In fact, until 1923, what we now know as Solana Beach was then known as Lockwood Mesa. A change occurred once the Lake Hodges Dam was built in 1918, allowing the community to grow and develop into what we have today. In recent years, it has attracted developers as well as professionals, who prefer to commute to the bustling city of San Diego. Its strong economy, recreational activities and growing arts have drawn people from all over California as well as the country, not to mention plenty of retirees. Many of its original homes were built in the Spanish-style with large lots and beach access. Full of history and culture, many of these homes are still standing alongside modern builds. Niche rates Solana Beach an A+ when it comes to living. It received a B+ in diversity and an A+ for public schools, nightlife, and for being good overall for families. Livability lists it with a median income of $96,902, a median home value of $974,100, and a median rent of $1,886. About 59 percent of its denizens are homeowners while the remaining 41 percent are renters. When it comes to their jobs, a reported 17.3 percent work at home. Solana Beach is an extremely walkable city. If you’re in the mood to get out, just about anything you may need is within two miles, including retail, grocery stores, manicured parks, fine dining, and schools. 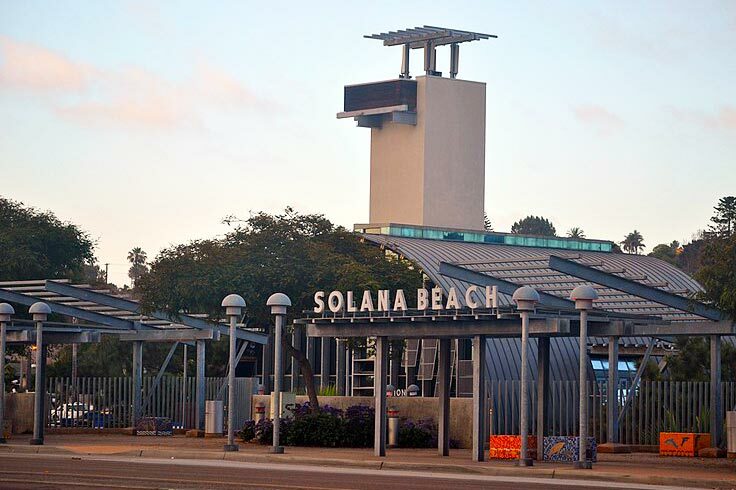 And even if you may feel the need to get away for the day, the North County Coaster train, as well as Amtrak’s Pacific Surfliner, have stops in Solana Beach with the ability to transport you north to Los Angeles or south to Downtown San Diego. 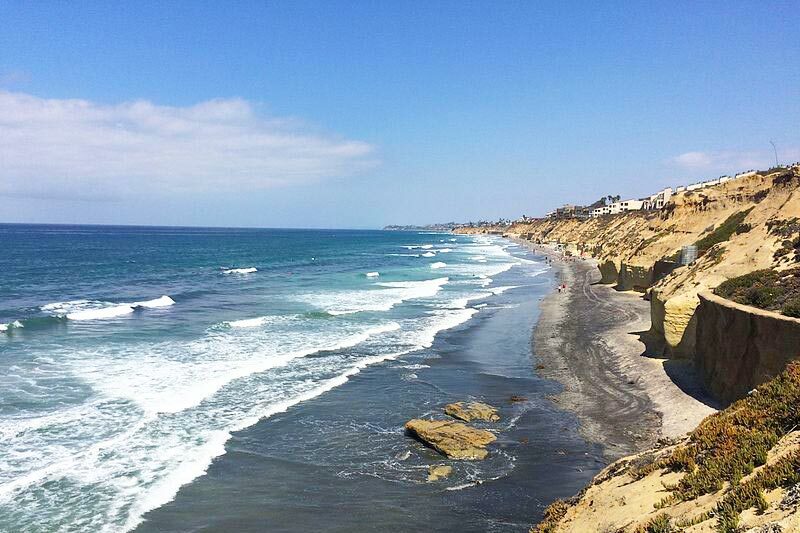 With an average of 263 sunny days per year, Solana Beach is very friendly to those who chase the sun. It receives about 11 inches of rain per year and there are only about 25 days per year where it experiences any type of measurable precipitation. Solana Beach has a January average low of 45 and an average July high of about 74. The weather makes it perfect for a trip down to Tide Park Beach, where you can see octopi and crabs in its tide pools, or head down to Fletcher Cove for some waves. The city has 1.7-mile coastline for families or surfers to enjoy. 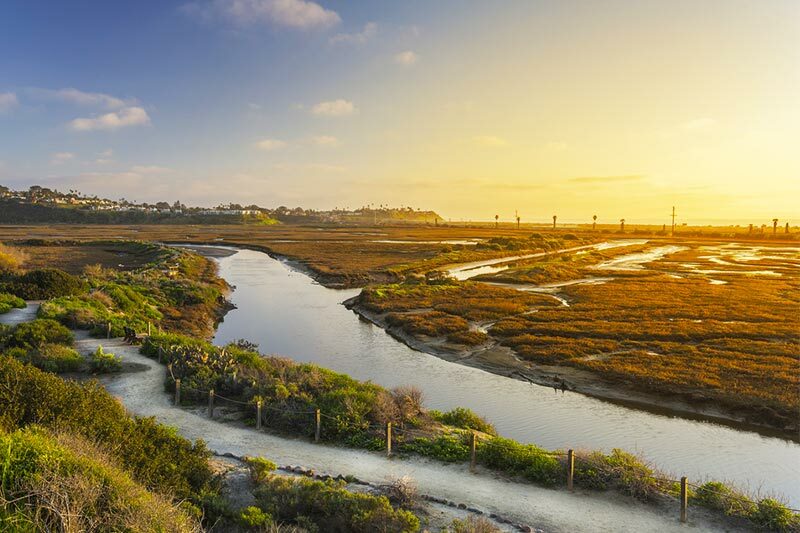 Solana Beach offers no shortage of beach parks, such as the San Dieguito River Park, a lagoon, and Annie’s Canyon — which is full of hiking paths, including the Solana Hills Trail — within its ecological reserve featuring both lagoon and ocean views. There’s also the San Elijo Lagoon, with seven miles of hiking and jogging trails, just north of the town. Thanks to the $7 million Highway 101 revitalization project, completed in 2013, downtown Solana Beach has become pedestrian, cyclist, and shopper friendly. Located along the one-mile stretch of the west side of Highway 101, the project made sidewalks wider, added bike racks, and made room for free parking. The project also added wildflowers, palm trees, public art, and tiled fountains. 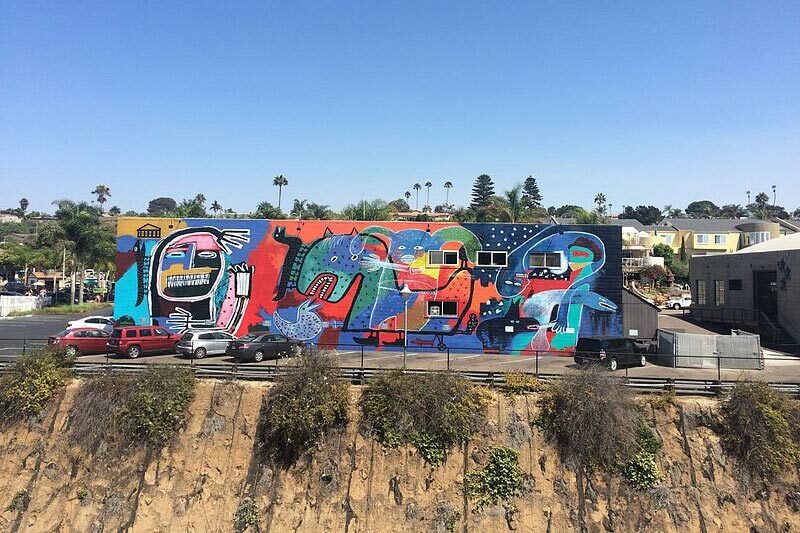 Solana Beach offers diversity when it comes to things to do. It has the usual shopping — though at times you can hear live jazz music as you stroll around town — and restaurants, such as Thai food at the family owned and operated Bangkok Bay. 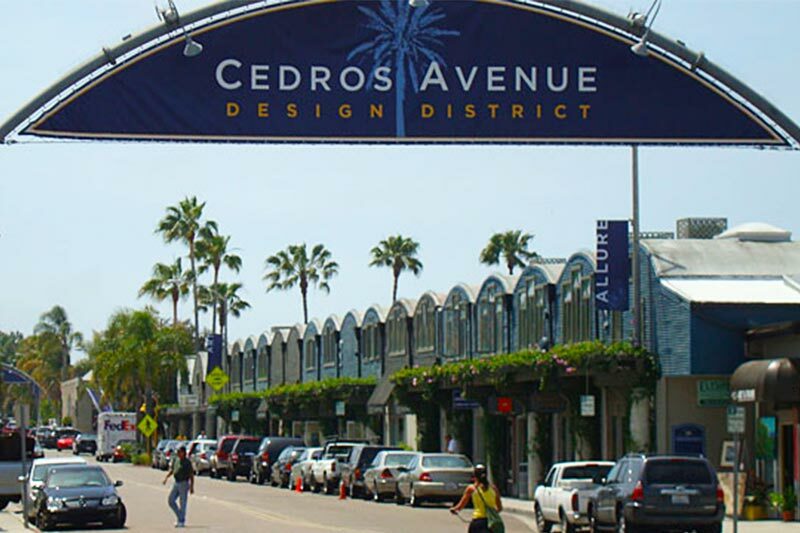 If you want to soak up a bit of culture, you may want to visit Cedros Design District, a hub for local artists. They offer tours of their art galleries, cafes, boutique stores, and antique shops.